Practice the concepts of Tables at MBA section of jagranjosh.com to ace the Data Interpretation section. Prepare well for your CAT, CMAT, MAT, XAT, IIFT, SNAP etc exams. Questions on Tables are often seen in the CAT Exam and other important management entrances as well. These questions are important not just for the quantitative aptitude section but also for the Data Interpretation Section as well. Practice the question on Tables in order to get a good percentile in your targeted management exam. Direction (1 to 5): Answer the following questions after studying the table carefully. 1. Find out the year in which the total number of people suffering from malaria reported the highest? 2. 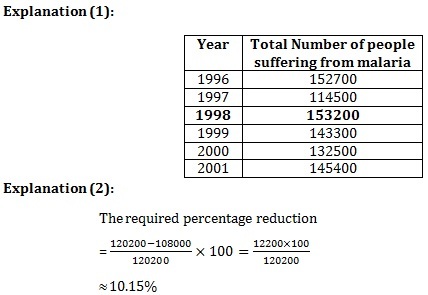 The approx percentage decrease in deaths in 1997 from the previous year is? 3. Find out the pairs of years where death is less than 70 percent of the total number of people suffering from malaria? 4. 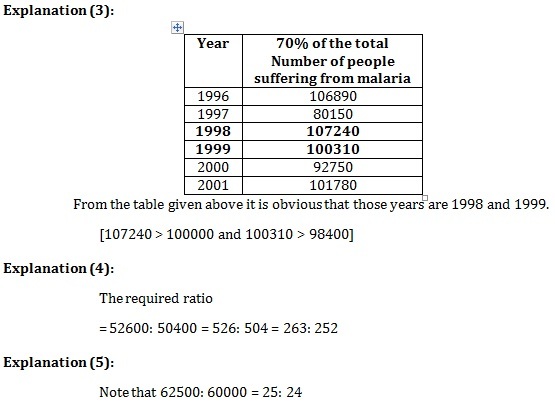 Find out the ratio of people suffering from major malaria in the year 2000 to those in the year 2001? 5. Find out the pairs of years in which the ratio of the number of people suffering from terminal malaria is 25:24? 6. 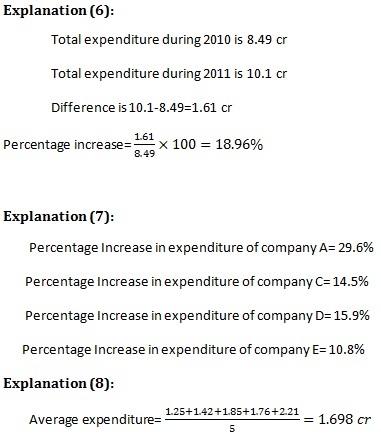 What is the percentage increase in expenditure of all the companies together during 2011 than during 2010? 7. Which of the company has the least percentage increase in expenditure in 2011? 8. What is the average expenditure of all the companies during 2009-10? 9. 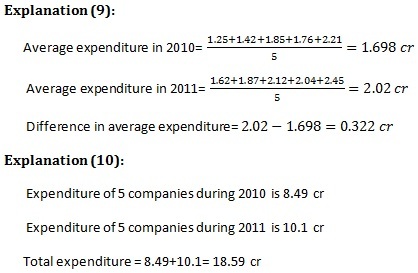 How much more is the average expenditure of all the five companies in 2011 than the average expenditure in 2010? 10. What is the total expenditure of all the five companies in two years? In this section we will explain the rationale for choosing the answer pertaining to every question. After practicing these MCQ(s), you would be able to understand the concepts of Tables. Next Article Why People prefer doing MBA?